Origin:	Unknown. Very old variety, possibly brought by the Romans, or perhaps of Greek origin, according to Count Odart (1874), who brought the variety from Madeira and compared it with varieties in Sicily. Chief areas of distribution:	Dão, Douro, but also grown all over Portugal. Official synonym(s) (national and OIV):	Boal (Madeira), Malmsey (AU). Historic and regional synonyms:	rinto do Dão, Arinto Galego (Alentejo), Assario Branco (Dão), Boal Cachudo, Boal (Madeira), Boal Branco (Algarve). 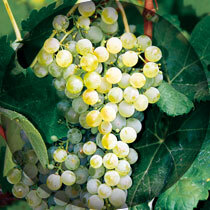 Homonym(s):	There are 12 different official Malvasia varieties (Nºs. 168 - 180) in Portugal. There are numerous other varieties with the same name in Europe. In 1996, the OIV named another 78 different varieties. Only identification of molecular markers can bring clarity to this matter. In Portugal, there is some confusion between the Malvasia Branca Nº 170 and the Malvasia Nº 168. Area under cultivation:	7,000 ha. Availability of propagating material:	RNSV polyclonal material available. Clones 111 -117 ISA, and 137 JBP. DOC quality wine:	Porto, Douro, Távora-Varosa, Dão, Beira Interior, Lagos, Madeira. IPR quality wine:	Chaves, Valpaços, Planalto Mirandês, Graciosa (Azores). Regional wine:	Minho, Trás-os-Montes, Beiras, Ribatejano, Terras do Sado, Alentejano, Algarve, Azores. Young shoot (form of tip):	Open with crimson red tip, very dense prostrate hairs. Young leaf:	Green, dense prostrate hairs on ventral side. Young shoot:	Green with green buds. Mature leaf:	Medium, pentagonal, five lobes, medium green blade, irregular, slightly blistered. Dense prostrate hairs on lower side of blade. Even teeth of medium size. Open V-shaped petiolar sinus. Closed U-shaped upper lateral sinuses. Bunch:	Medium to large, conical, medium density, peduncle of medium length. Berry:	Slightly elliptic, small, green yellow, peducle of medium length, soft flesh. Time of bud burst:	Normal, 3 days after the Fernão Pires. Flowering:	Normal, 4 days after the Fernão Pires. Berry (colour change):	Normal, 7 days before the Fernão Pires. Berry (harvest ripe):	Normal, one week after the Fernão Pires. Vigour of shoot growth:	Medium to high. Length of internodes:	Medium and short. Shoot length:	Medium, some long. Tendency to form lateral shoots:	Very low. Rate of multiple bud bursts:	Very small. Bud fertility index:	Very high (1 = 1.29; 2 = 1.65; 3 = 1.72 flowers per shoot), 8 – 14 t/ha. RNSV statistical value: 1.41 kg/vine (Average of at least 40 clones in Peso da Régua over 3 years). Yield consistency:	Inconsistent, because of its high susceptibility to millerandage. Winkler Index:	1,618 for an 11.5 t/ha yield (Montemor). Sensitivity to abiotic factors:	Sensitive to drought and deficiencies in boron and magnesium. Susceptibility to fungal diseases:	Very susceptible to Peronospora and Oidium, and therefore also to Botrytis especially during flowering. Systemic viral infection prior to selection:	30% GLRaV-3, 10% GLRaV-1, 10% GVA, < 50%RSP. Susceptibility to Pests:	Medium susceptibility to the vine leafhopper. Bunch size:	Medium to large, fairly long, conical. Bunch density:	Varies from year to year. Vineyard conduction system:	Suited to all types of training systems, although the Cordon Royal is usually used. Soil requirement:	Deep, well-drained soils. Locations which are too hot and therefore dry out the berry should be avoided. Climatic requirements:	Can withstand wind, although sensitive to drought stress (berries shrivel, leaves fall off). Vine density:	Recommended vine spacing is 2.00/2.50 m x 0.90/1.20 m, although all sensible spacings work well. Rootstock:	In coastal zones and deep soils, rootstock with lower vigour is recommended, such as 101-14, Kober 5BB. In the Douro, R110, R99, 196-17, 1103P are recommended. Irrigation:	Recommended in soils with low moisture. Incidence of coulure/millerandage:	Susceptible to millerandage. Spoilage of mature berries:	Minimal, unless high rainfall occurs in September. Risk of bird damage:	Protection seldom required. Machine harvest suitability:	Well suited, in moderate temperatures. Wine type:	Sparkling wine (when harvested early), quality wines, dessert wines. Potential alcohol content:	Medium to high (12 -14% Vol). RNSV statistical value: 13.23% vol. (Average of at least 40 clones in Mangualde over 7 years). Natural acidity of must:	Low (4.5 – 6 g/l). RNSV statistical value: 4.35 g/l (Average of at least 40 clones in Mangualde over 7 years). Risk of oxidation of must:	High. Wine colour tonality:	Lemon yellow. Risk of oxidation of wine:	Medium. Ageing Potential:	Good ageing potential when bottled. Blending recommendation:	Blending with other Dão and Douro varieties gives these wines the desired regional typicity. Wine Descriptors:	In general, the quality is as fine as its name suggests, but less penetrating and complex in terms of aroma and taste. It has a convincing nose with notes of wax, honey, nutmeg and a certain smokiness, but lacks stamina (N. Almeida). Wine quality:	Good. Ideal conditions could produce a better quality wine. Variety Characteristics:	European wine with a long tradition, although problems experienced with bad vineyard location have received undue publicity. From an oenological point of view, it holds interest as a quality sparkling wine.